What Makes A Good Family Business Board Chair? 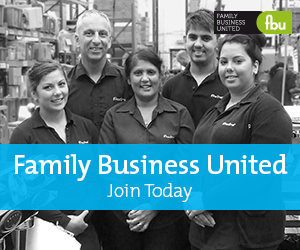 Six tenets that help to make a great family business board chair. Running the board of a family business can be a challenging role given the very nature of the family interacting with the business, especially in one that has been through a number of generations too. Not only does the board need to manage the business effectively, it needs to ensure that the family dynamics and relationships do not unduly influence proceedings and that any disruption due to ‘family matters’ is kept to a minimum too. A Chair who is able to fully grasp the, sometimes complex, family dynamics may also see ways to raise the profile of family members in a very positive way. A great Chair is sensitive to the needs of the CEO and runs the Board, not the family business, which is the job of the CEO. With mutual trust and respect, the Chair contributes but does not undermine the CEO’s prime responsibility for strategy. He/she offers guidance as a mentor and is an effective sounding board who can offer objective and independent views of the CEO’s performance. The Chair should affect a good working relationship with the Chair of the Family Council and offer insights into business performance of which family shareholders must be aware. A great Chair helps to share knowledge and enable all directors to have a good understanding of the environment and the issues facing the family firm and is adept at contributing to the debate to allow the different alternatives to be considered. The Chair also guides the CEO on the matters that should be brought to the Board for discussion and how they should be presented. He/ she should be most adept at bringing family shareholder views to the attention of the CEO at regular intervals. A great Chair needs to continuously review the individual members of the Board to make sure that it hosts the most appropriately skilled directors in the execution of business strategy At times, they should be willing to mentor family directors in the execution of their duties. It is best for all concerned if the CEO does not step up to the role of Chairman for a number of reasons, not least the possible perception of things not really changing and the negative impact this can have on recruiting the next CEO. We see many examples of where CEO’s and Chair positions are one and the same and “swapped”. This should be avoided at all possible costs. Sector experience is less essential than a breadth of experience to undertake the role of Chair successfully. Competencies such as relationship building, strategic acumen and superior communication skills are much more important than sector knowledge. Being the Chair of a family firm is a professional position and as such it is important to take time to prepare for the role and the activities that the role entails. Most great Chairs will also state that they become better in the role over time but that preparation is the key to success in the role. A core competence profile which is supported by the family and a succession process which involves the family is likely to have better success. And most importantly, they are willing to engage with and like the next generation of owners. They hold low egos and are in the role to ensure the success of the system overall. Penny has worked with families in business all over the world and understands the need for family business boards to be strategic in their operation and to manage the affairs of the business on behalf of the shareholders, essentially they family, and the need for the Chair of the family board to be great at the role in order to help the family and the business achieve their goals. “There is a need for a strong, qualified individual to Chair the board, helping the board deal with the strategic issues it needs to address whilst being cognisant of the role of the family in the business too. A great Chair needs a number of tenets to succeed, as well as being open, honest and approachable they need to be engaging, respected and the figurehead for the Board, taking accountability for the actions of the Board and balancing the need of regulation and strategy and in a family business environment, finding a great Chair is not always easy,” concludes Penny.